Atlas Green is an exotic, green and black marble. Its pattern looks comparable to a satellite view of the earth. The busy veining pattern is complimented by its leathered finish, giving it a lot of depth and texture. 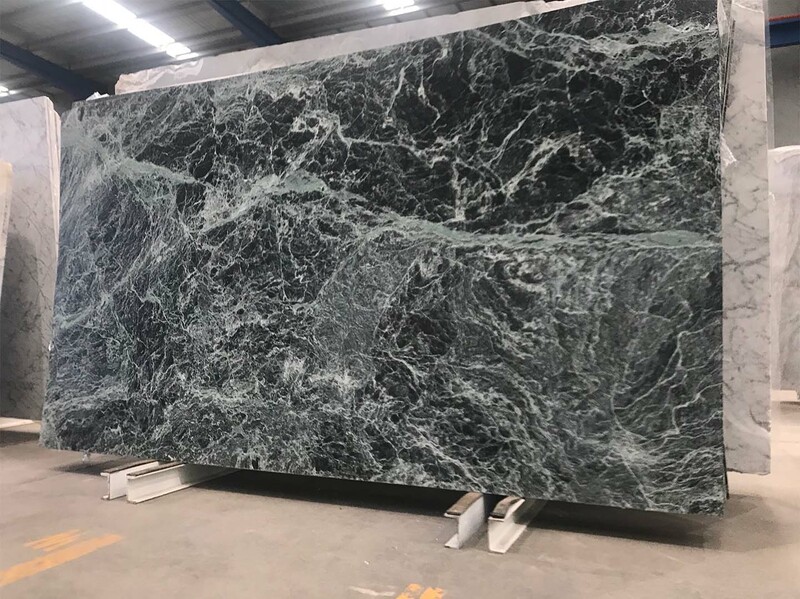 Atlas Green is harder than a typical marble and perfect for a kitchen benchtop.